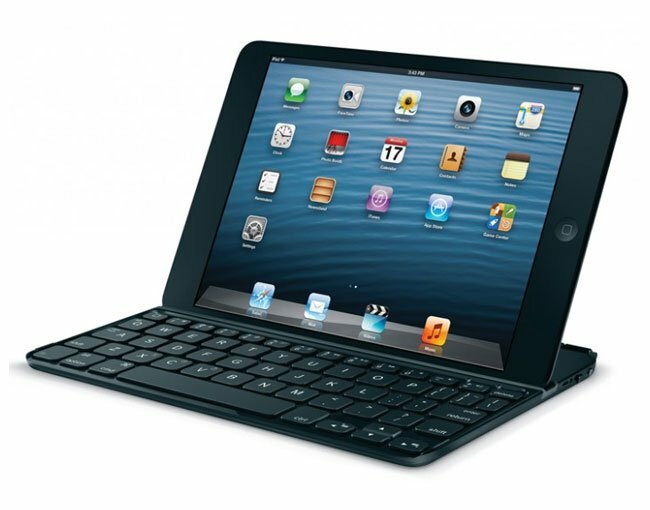 Logitech has launched a new addition to their range of accessories this month in the form of the new iPad Mini keyboard case, which has been designed to provide a full QWERTY keyboard to iPad mini users. Logitech has specifically designed the new keyboard case for Apple’s 7.9-inch tablet, which doubles as a protective cover when not in use. Unlike flexible keyboard cases on the market Logitech has equipped theirs with a rigid base making it easier to type on uneven surfaces, such as your lap when needed. Constructed from aluminium the iPad Mini Keyboard case uses magnets to attach to your iPad mini and Bluetooth as the connection. Its also equipped with a few handy Apple shortcuts such as Fn+1 will start a Spotlight search, while Fn+2 opens the Safari Internet browser. Logitech’s new iPad Mini Keyboard case will be available in black, white and red and offers a 3 month battery life, for around $80, but no release date has been announced by Logitech at the current time.